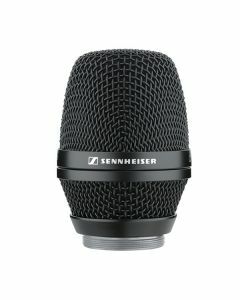 The capsule design is based on the capsules used in the vocal microphones of the Sennheiser e900 series. The MD 5235 has been acoustically optimized for loud stage use, its sound characteristics allowing the vocalist to cut through high sound levels on stage. Floating Directivity: The directivity changes from narrow super-cardioid at very high frequencies over cardioid to wide cardioid at very low frequencies. By this means, high-frequency feedback is effectively rejected while the low-end sounds rich and full. Furthermore, the proximity effect is reduced as well as the sensitivity to wind and handling noise.